This was really a cool game. It would of been even better if the warriors won sadly like you said they lost. But I think that after the massive haka by the maori people it hyped up the warriors. Only for the first half, slacking off in the second half. 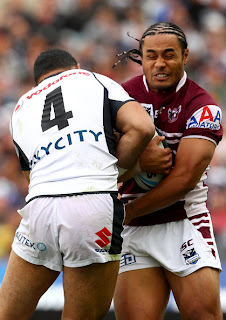 Good for manly but for 2012.....GO THE WARRIORS. Keep up the good work.